It’s hard to find good food in a mall. Metropolis at Metrotown has an excellent food court, but food court food still just that. They also have the gem that is Fortune House Restaurant, which makes a great dim sum, if you have the time. But sometimes you need something fast, something good, something with enough substance to help you make it thru the day: Enter Manzano Bakery. 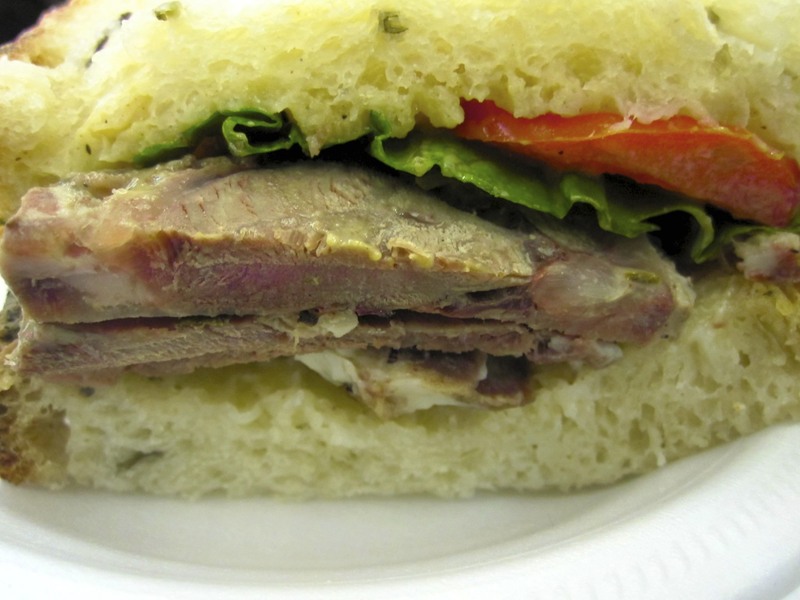 Yesterday, being National Sandwich day, we decided to check out Manzano for lunch. Located on the ground level of Metropolis, near The Bay, this place is very convenient for the office lunch crowd looking for some good food. 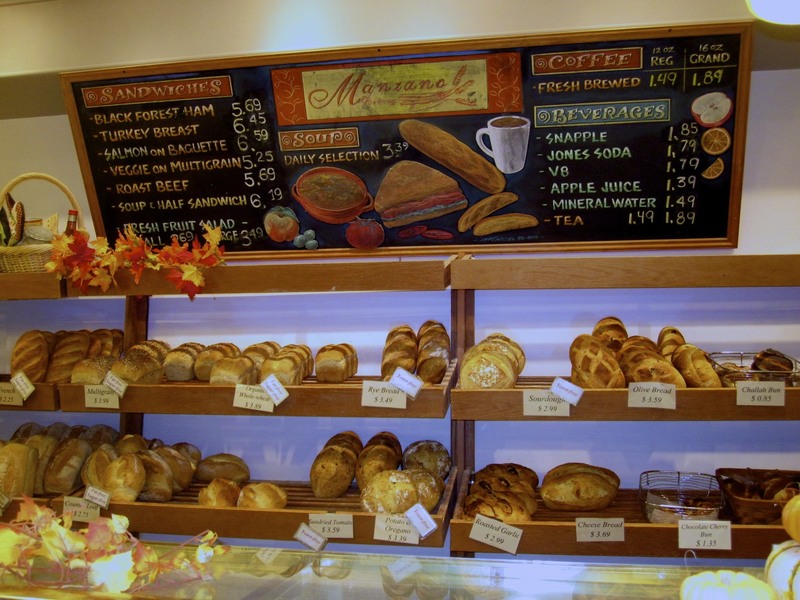 Manzano makes their own breads, cakes and they have gluten free breads and sugar free cookies as well. I ordered the turkey sandwich and soup combo. With a drink, my lunch came to around $8. 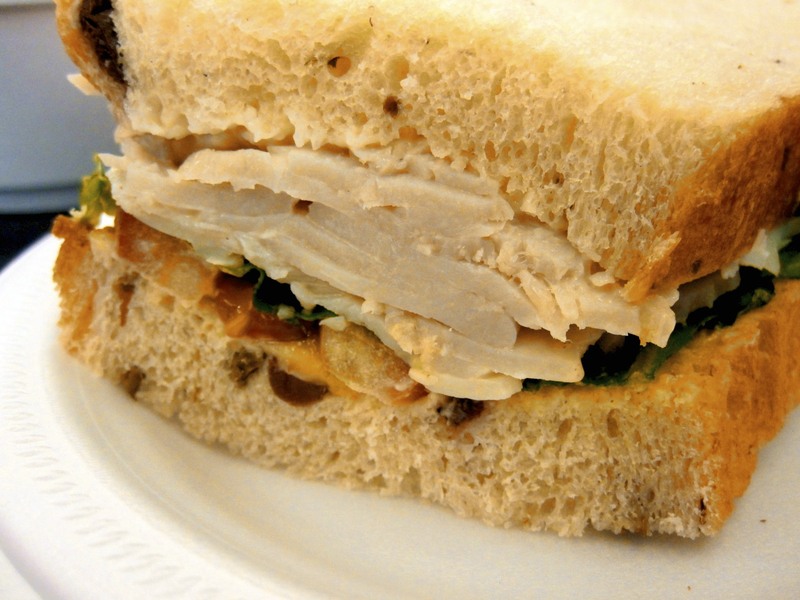 Now, a cold turkey sandwich is the same pretty much anywhere. What I really liked was the bread. Most places will serve a turkey sand in a cranberry bread, but this place chose a most delicious green olive bread. It was awesome! It was fluffy and the olives gave it such a fantastic taste. 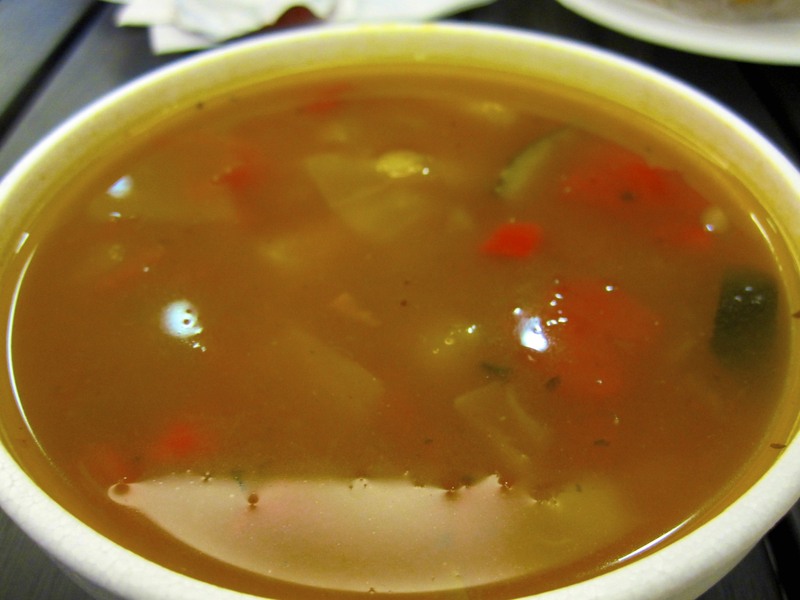 I also had the vegetable soup. It’s made in house. The soup was a tad salty, but tasty nevertheless. Overall a satisfying lunch. There’s a couple of things Manzano is famous for: Their tiramisu, which I’ve tried and I can testify that it is good. Their chocolate chip cookies, and the lamb sandwich. My friend Anne loves it. She orders it all the time. The lamb is not gamey and it’s very tender and moist. They also use a dijon mustard sauce that compliments it quite well. They use potato bread. There’s lots of seating outside the bakery, a great place for people watching.